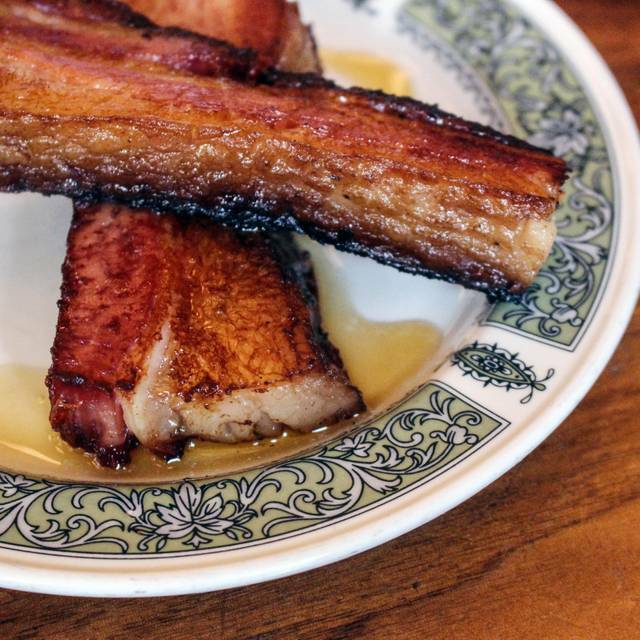 From the team behind Blackbird and avec comes this homage to beer, pork, and fish. 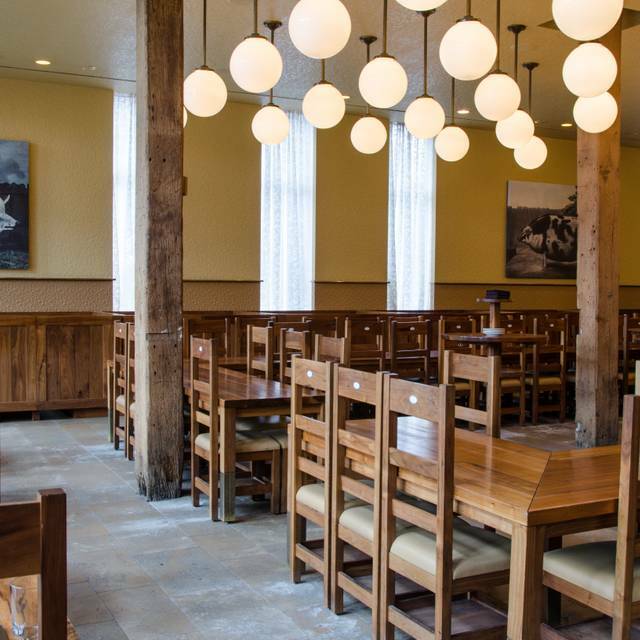 Executive Chef Paul Kahan and Chef de Cuisine Dennis Bernard have developed a network of purveyors to supply the restaurant with hand-selected, sustainably-harvested fish and seafood as well as sustainably-raised heirloom pork to anchor a rustic menu of simple, eclectic fare. The extensive international beer list, developed by partners Eduard Seitan and Terry Alexander and now Beer Director Adam Vavrick, features 100 or so ales, lagers, stouts and ciders by the bottle, 12 of those available on tap. 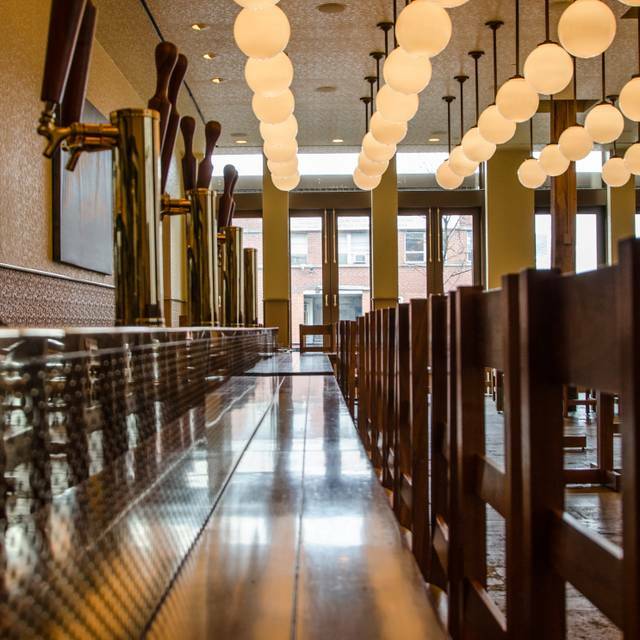 Like Blackbird and avec, The Publican is a design partnership from the James Beard Award-winning team of Thomas Schlesser and partner Donnie Madia. Publican Quality Meats, located just across the street from the Publican, can accommodate up to 38 for a Seated Dinner, up to 75 for a Cocktail Reception, or up to 24 at the Chef's Prep Table. 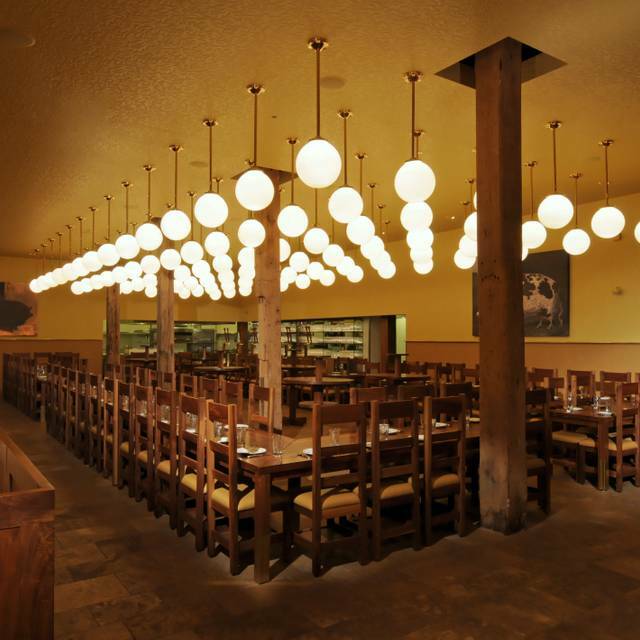 The Publican can accommodate up to 125 for seated luncheons, or evening Buyouts and 175 for Receptions. #8 Halsted Bus, exit on Fulton Market Stop. 3 blocks east of Morgan Green/Pink Line stop. 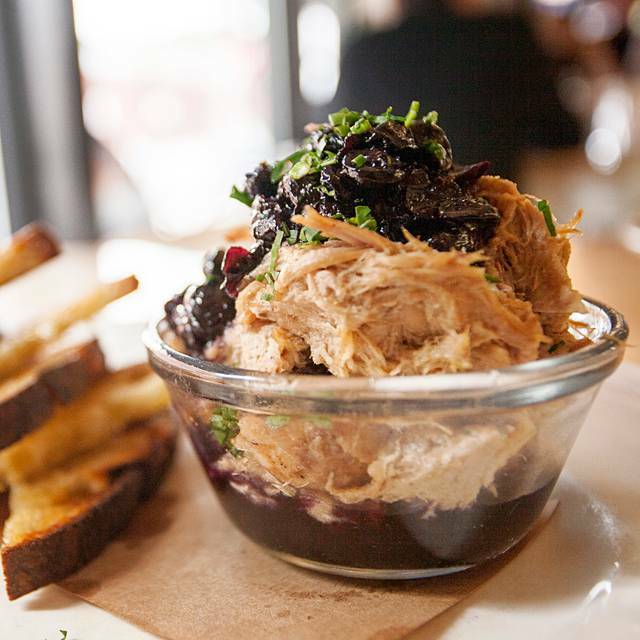 The Publican is a Medieval styled mecca of all things beer, pork, and oysters. If that's not appealing, you can't sit with us. A modern cuisine with the adequate number of choices but nothing extraordinary that you expect more and more from the Chicago food district. The charcuterie was the least memorable, uninspired selection and originality. Belgian endive salad on the other hand was excellent and quite refreshing. Oysters were served in the middle (not sure it is best order) and all 6 were of different type which makes it as interesting tasting exercise. And finally a pork shank which we shared was cooked to perfection. The servers are always great and very knowledgeable about the menu. I always have a good meal here! The ambiance is lively and bustling. The kitchen is producing high quality dishes with spot on flavor combinations. Order the whole chicken and go for a dessert. Wonderful dining experience. The food was fabulous with just enough to raise your senses but not too much to weigh you down. We ate on the early side of a Saturday night (5:30 rez) and left just as the noise level was going up; we were fine with that. Lovely meal, great service! Great birthday dinner! My husband has food allergies, and they took great care of him. Wonderful food and great service! Had an enjoyable time. The service was a little slow, though. I love this restaurant and try to visit whenever I am in Chicago. Great beer list and food! Really enjoyable experience. Would highly recommend. Great food, great service and amazing location. 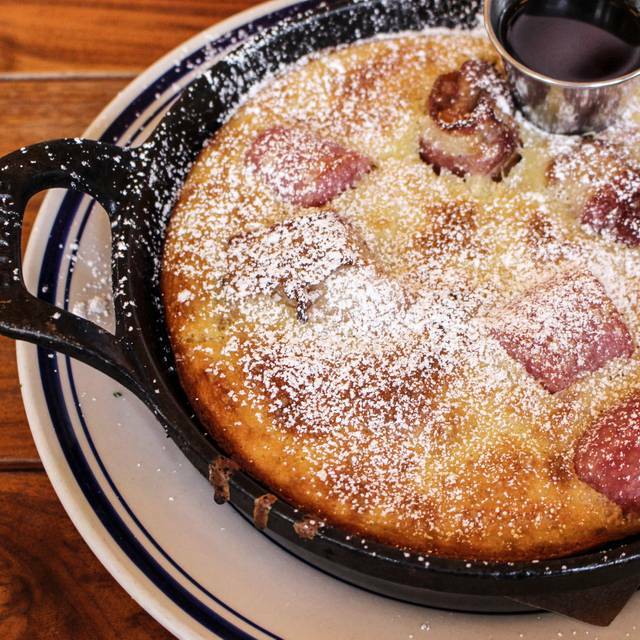 great for big groups and sharing for brunch. we ordered almost everything off the menu and everything tasted delicious. We always order the schnitzel. It never disappoints. We had friends from out of town and they love to eat here whenever they are in Chicago. It was very very loud. I didn't understand why were we seated next to another couple when there were 30 open spots elsewhere. The food was fair for the price. It is expensive for small portions. I would not need to go back, this was very disappointing. Even the beer was expensive. If I am going to have 225$ dinner for my husband and I, I would like better food or bigger portions. He had one beer and I had a beer and a class of wine. 225$ is off the hook cra cra. Their Seafood tower was AMAZING!!! We took our college daughters here for brunch. They loved it! Food was great. Energy of the whole neighborhood is terrific. Visiting my daughter at college. Was terrible. The staff was not accommodating at all. Not pleasant waiters or hostesses. We had a reservation and were seated promptly. Our waiter was very knowledgeable on the food and helpful in giving suggestions. Everything we tried was delicious. I highly recommend the barbecued carrots and getting any type of pork or seafood dish. I will definitely be back! Always interesting and unique food. Some things seemed a bit overly salty and over seasoned (barbecue carrots) this time, but none the less we had a fun dinner and experience. The cherry dessert wine finished in cognac casks was amazing! It was a good place to try once,but I am not sure I would return. Excellent fun place. You have to love meat. Although we had the chefs choice and the mackerel was probably the best dish. Jake was also good. Waiters are knowledgeable and attentive. A little loud and many seats are family style. We opted for the Chef’s Menu, which I highly recommend. It is certainly the best value, and gives you a wide range of interesting and delicious plates to share. It is also plenty of food - we were all stuffed by the end. The only disappointment was the dessert, which was a Banana Sundae with caramel and pastry bites. It was still delicious, but fell flat relative to all of the other wonderful and unique dishes we had throughout the dinner. 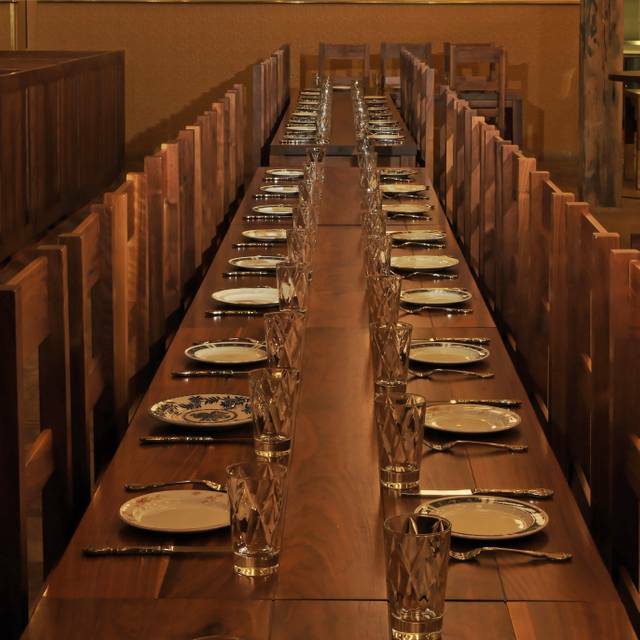 Service was excellent and the somewhat medieval dining hall ambience is fun and energetic, especially for a big group. It does get quite loud, so I wouldn’t necessarily recommend it for a first date or anything similar. The food was amazing and extremely well prepared, we liked it so much we bought cook books! The staff was also very helpful and offered to ship us the cook books when they realized they were out of stock. They went out of their way to make sure we had a wonderful dining experience and we most certainly did! I would recommend The Publican to anyone in Chicago looking for some wonderful food brought to you by wonderful people. We were in town to meet up with my cousin and catch up. The Publican was recommended by a friend. The place is nice, the food was amazing and the service was great. Only problem was the music and people having to yell to be heard over it. It really made conversation hard. I would recommend it for the food, but if you want to have a group brunch, go to eat, not to socialize. It was my wife’s sixth birthday and I had invited our adult children. My wife’s and I have visited the restaurant before and we wanted to let the kids have a great experience. Which we all did. The noise level unfortunately was on the extreme side. Phenomenal! Their brunch menu is so creative, innovative and perfectly executed. The service was just as amazing! The BLT breakfast sandwich was soggy and was left un eaten. The hash browns where completely dry and crisp all the way through. The coffee was good, the service was great. It was way too loud. A bit noisy for my taste but fun. The food was great. I highly recommend the pecan sticky bun. Our server was very knowldgeable and his recommendations were spot on. Ive already recommended this place to my son. Food, service, and over all vibe was excellent! Way too noisy though. Could not hear our waitress at all and as a first time customer, this is so important since I ask for recommendations on food and drink choices. 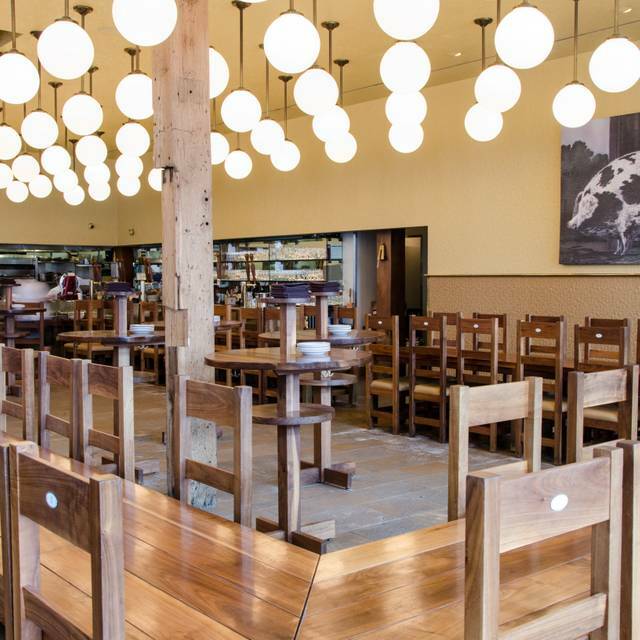 This was our second visit to The Publican and we loved it! We were celebrating our Anniversary. The staff made a point of noting our occasion and celebrating with us making our day even more special. The food was outstanding as usual - the mackerel was amazing, the beet root salad, the hams, the deconstructed banana pie, the porchetta, it was all excellent. Nice place. Great place to share your entrees. Also good place to try new things! The food was fabulous! The service was super slow and it was moderately crowded. They were out of two main dishes for brunch and took a while to come back and tell us. One main dish came out about 15 min after the others so 6 of 7 had their meals and were waiting for the 7th. The music was sooooo loud that we couldn’t talk to the person on the side or across the table without shouting. I usually love the back ground music combined with the food hall conversation in the back ground but this was exceptionally loud. Great Brunch. I would recommend getting a side of bacon with any dish you have. Bloody Mary's are spicy FYI. Relatively poor service compared to past visits. Food was fantastic, though. Everything we had to eat was amazing. Service was great and drinks were good. It is pretty loud in the restaurant so it wouldn’t be my first choice for a romantic date night but it was the best meal we had in Chicago! 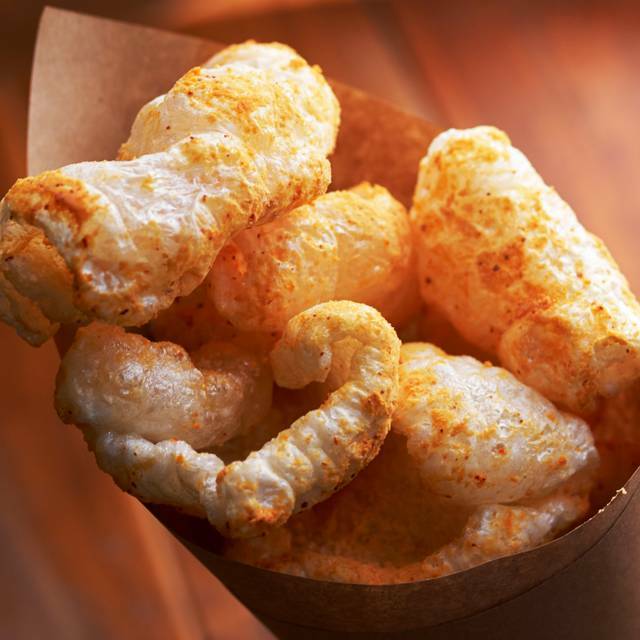 Great small plates options. You have to try the carrots. Exceptional. The food was delicious! Two of us did the Chef's Menu together. We loved everything except the grilled rapini, which had a smokey, cigar-like flavor that we weren't fond of. The rapini that came on the striped bass plate was delicious though. We particularly loved the Trappist beers, porchetta, and the banana split dessert. For two people, the Chef's Menu was A TON of food. Probably enough to feed 3-4 people so come hungry if you plan on doing that. Overall it was a great experience!